Huawei Honor View 10 Lite is now available for sale in Italy as the device popped up on Amazon with identical design to the Honor 8X. This is one of the few smartphones Honor will be releasing exclusively in Europe without any form of announcement. The View 10 Lite is powered by the Kirin 710 powerful mid-range chipset, sporting notch display and dual rear camera. As stated above, the design is quite similar to the Honor 8X. It’s aluminium alloy overall unibody reflects light in the most stunning way. 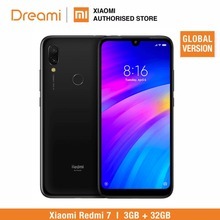 There’s a rear fingerprint scanner for quick access to the device as well, measuring just 7.8mm in thickness, weighing 175g and available in Black and Blue colors. The Honor View 10 Lite is built around a massive 6.5-inch IPS LCD notch display. The screen boasts of 1080 x 2340 pixels in resolution along with a 397 pixel per inch density for clear visuals as well. Overall, the screen stretches up to 82.5% screen-to-body ratio. It runs on Android 8.1 Oreo out of the box with EMUI 8.2. Under the hood, the HiSilicon Kirin 710 chipset from Huawei comes with 8-cores of processor clocking at 2.2GHz offering a smooth ride. The Mali-G51 MP4 graphics card handles everything graphics. The phone packs 128GB internal storage space for storing your files, you can expand up to 400GB using a memory card. It comes with 4GB RAM space for multitasking through apps and tasks. The Huawei Honor View 10 Lite features dual 20MP + 2MP rear cameras for all your photography needs. The camera is equipped with a dual-LED flash and other internal features listed in the table below. For taking selfies, there’s a 16MP selfie shooter. Powering up the View 10 Lite is a 3750mAh battery capacity with support for fast charging. Charging the battery from 0% to 100% shouldn’t take up to 2 hours.